Pasco County deputies say when one victim tried to disarm the man, the man hit another victim with a lamp pole. 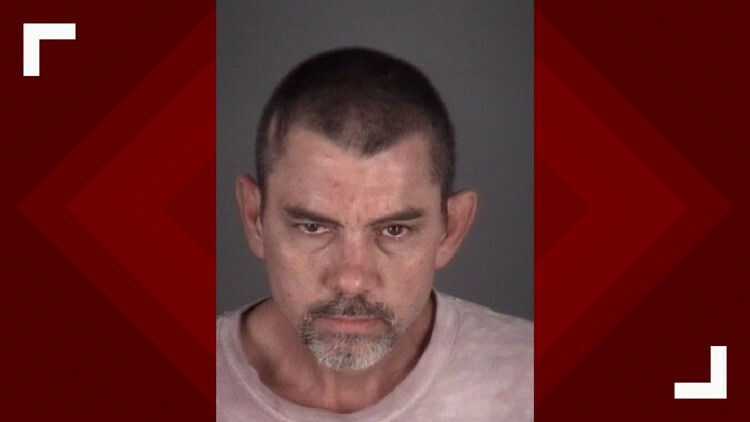 NEW PORT RICHEY, Fla. — Pasco County deputies arrested a 51-year-old man after they say he hit one victim with a frying pan and a second victim with a lamp pole. According to an arrest affidavit, the first victim told deputies Gerald Lee Thornton Jr. chased him with a frying pan and hit him with it. The victim told deputies he tried to defend himself by punching Thornton multiple times, the arrest report says. Deputies say when the first victim stopped hitting Thornton, Thornton went after a second victim with a lamp pole. The arrest affidavit claims Thornton hit the second man on the back of the head with the lamp pole, causing him to start bleeding. Thornton was charged with aggravated battery with a deadly weapon and taken to the Land O'Lakes jail.